Venture out of the city with trips to Shark Valley (in Everglades National Park) and Fort Lauderdale Beach (in Fort Lauderdale). 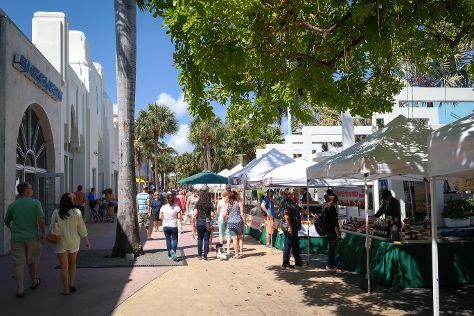 Next up on the itinerary: stroll through South Beach, see the interesting displays at Vizcaya Museum and Gardens, shop like a local with Ocean Drive, and take in nature's colorful creations at Miami Beach Botanical Garden. To find reviews, traveler tips, other places to visit, and other tourist information, refer to the Miami trip planner . In June, daily temperatures in Miami can reach 89°F, while at night they dip to 77°F. Cap off your sightseeing on the 30th (Sun) early enough to travel back home.